No industry is truly boring. However, to outsiders, and especially to the people who deal with the industry day in and day out, anything can eventually become dull. 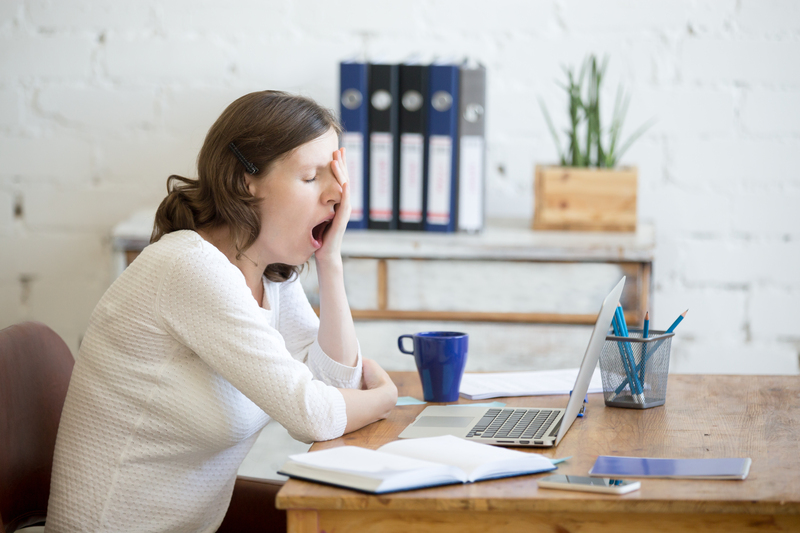 Even for us, B2B can be a bit of a drag once in a blue moon. One common challenge is generating mass interest in SEO, but just because it’s a battle, it doesn’t mean it’s a pointless struggle. We even enjoy the fight. Contrary to what you may think, even the most seemingly mundane industries are interesting. Working in B2B we get involved with a wide variety of clients, and there’s something interesting to learn in each of them. Sometimes, it’s not even that consumers find an industry ‘boring’, they just think it’s too technical or too far out of their comfort zone. It’s your job to prove them wrong! Sometimes, your trouble will come from generating interest in purchasing, or helping your potential customers to actually understand the industry you’re working in. Then you have to convey how your offering is different to everyone else’s! No matter the challenge, there are things you can try. A big part of generating interest and setting yourself apart will come from your content marketing efforts, so today we’re going to give you 4 great ideas that you can use to make even seemingly boring industries fun! Depending on the kind of audience you’re targeting, you’ll be writing things differently. You can’t expect someone who’s never interacted with your industry to suddenly understand highly technical information. Conversely, you can’t expect someone with 15 years of experience to be interested in purely top level information. If you want to create 1 piece of content that appeals to these two very different audience types then it’s time to get creative. Infographics are a great way to cover the top level of information in a quick and engaging way. It can introduce top level content, without giving up on more in-depth topics. If you place them at the top of a post then you’re able to give prospective readers the chance to see whether or not they can learn from and engage with your work! Below the infographic you can have a 2000 word blog that’s filled with engaging H-tags which will appeal to your more experienced readers. Having that shorter introduction makes the topic less ‘scary’ is a great way to generate excitement and interest. You never know, your content could be the first step to a whole new world for the reader. 300 hours of video are uploaded to Youtube every single minute of the day. Almost 5 billion videos are watched each day, and autoplay leads us to videos we never thought we’d be watching. I don’t honestly plan to end up watching dog yoga videos ’til 3am, but I start by looking for one yoga tutorial and it just spirals. Animations and videos are a fantastic way to make any subject fun, introduce a protagonist, a challenge and a resolution and you have a potential viral video! There is a time and a place for sarcasm and humour in content creation and advertising. My all time favourite advert is from 2010, when flashmobs were still a new concept. T-mobile organised a performance in an arrival terminal in Heathrow airport. They never mentioned a phone, not in the advert, nor in the song selection. There was absolutely no product placement on their part. However, you can see endless phones being taken out during the advert, with people videoing, photographing and sharing their experience. The consumer did all the work, they brought the product into view – all the advert did was highlight what an integral part of the day their product was. 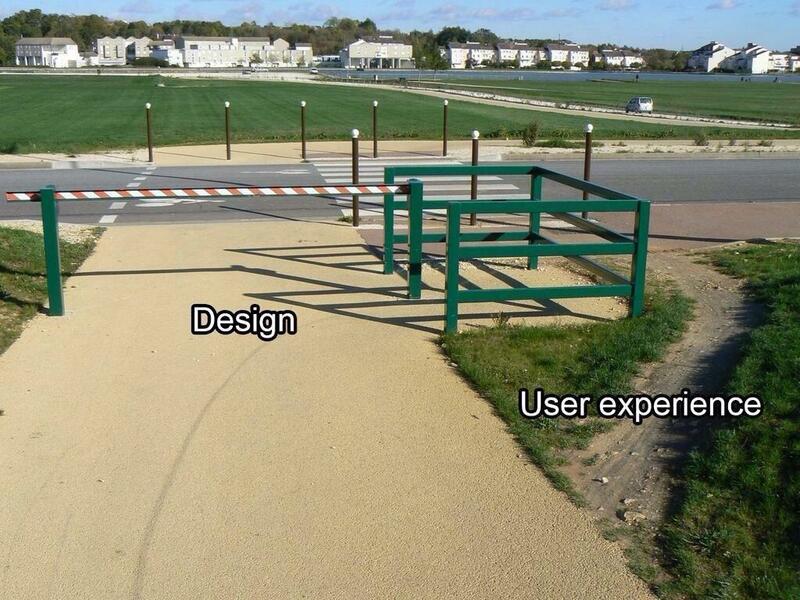 UX, or User Experience, sounds very technical, or at least it did to me the first time I heard about it. It didn’t help that I connected it to front end development — I really don’t understand that. In reality, it’s a very simple concept. UX is just making sure that the user enjoys navigating through your website or content. It also applies to wider life, you can talk about your UX of your last bus ride, or visiting a store! You can always make an experience better, because aesthetics aren’t going to solve all of your problems. My assumption had been that if a page was beautifully designed, users would automatically use the intended path. However, this isn’t always true. To help me understand UX in the real world, our designer showed me this. The pathway is beautifully designed and more aesthetically pleasing, but it’s quicker for the user to cut across the grass. So why wouldn’t they? The user doesn’t really care about how much work the creator has put in, they just want an easy experience. There’s fun in every subject, our designer’s favourite project right now is a slipper campaign. Mine, is an event supply hire who cater to events of all sizes. They’re not necessarily topics people associate with endless amounts of fun, but we find a way to make them enjoyable.